ITS is working hard all summer behind the scenes to make sure that our infrastructure keeps up with growing demand. A lot of times, you may not even notice the difference in regard to some infrastructure projects. Here are some of the projects being worked on now. Storage - We are upgrading the storage capacity on our servers to keep up with growing demand on our resources. Projector Upgrades - Smith Auditorium is getting a brand new mounted projector and larger 16:9 screen on stage. The Chancellor's Room recently received a brand new projector paired with the Pixie control system installed in the Spring. Click here to read the blog post about the Pixie control system installation. WIFI - The final phase of our multi-year plan to overhaul WIFI coverage on campus is almost complete. 100% WIFI coverage is being extended to all of De La Salle, Memorial, and Miguel halls as shown on our campus WIFI coverage map. As a result, all classrooms and Faculty offices will have access to high-speed 802.11n WIFI. 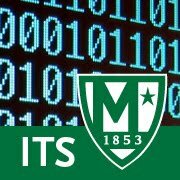 4 Computer Lab Upgrades - RLC 102 & 107, DLS 314 and MGL 110 are all being upgraded this summer. In addition to the new desktops, we are also implementing a couple of software tools to help us better control printing and to monitor both printer and computer usage for more efficient future capacity planning. Banner Architecture Upgrade - Faster, more reliable, and more secure. The culmination of 2+ years of planning and testing, the upgrade includes the migration to lower-cost/higher-performance hardware distributed between our campus datacenter and a secure remote location to ensure uninterrupted access to critical campus data 24/7. Students and Faculty alike will notice faster performance when using self-service - especially during peak-load periods like online-registration and grading. To read more about the Banner Architecture Upgrade, click here. Client Services Updates - Client Services North has consolidated into the Jasper office. You can read more about the consolidation here. As was done in the Spring we intend to offer extended hours during the Fall semester. To view Hours of Operation, click here. We are also working on implementing a new ticketing system. This new system improves our ability to track support requests allowing us to better utilize our resources and communicate with you. Stay tuned, because as projects come to completion we will update you on what was upgraded and how it affects you.